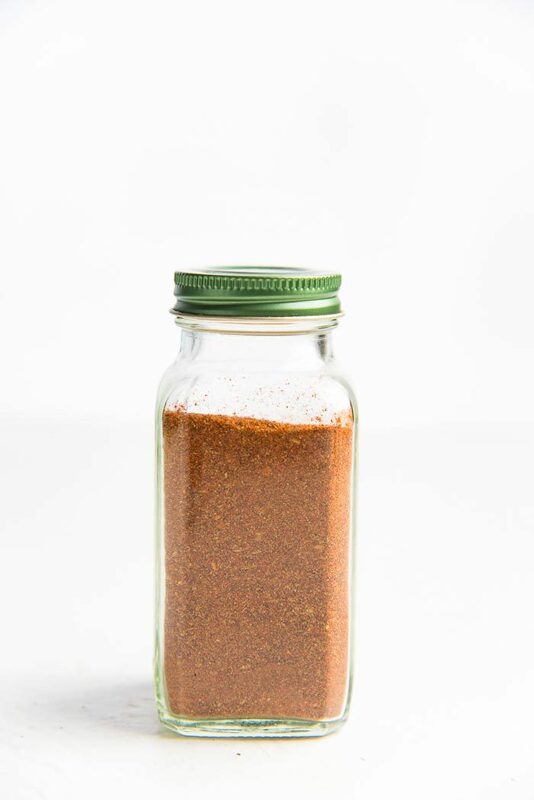 This easy Cajun Seasoning has a nice kick, with earthy flavors, and it’ll perk up any dish that you use it in, with its peppery, zesty flavor profile! Plus, it’s so so simple, you’ll be making it with spices that you most likely already have in your pantry. 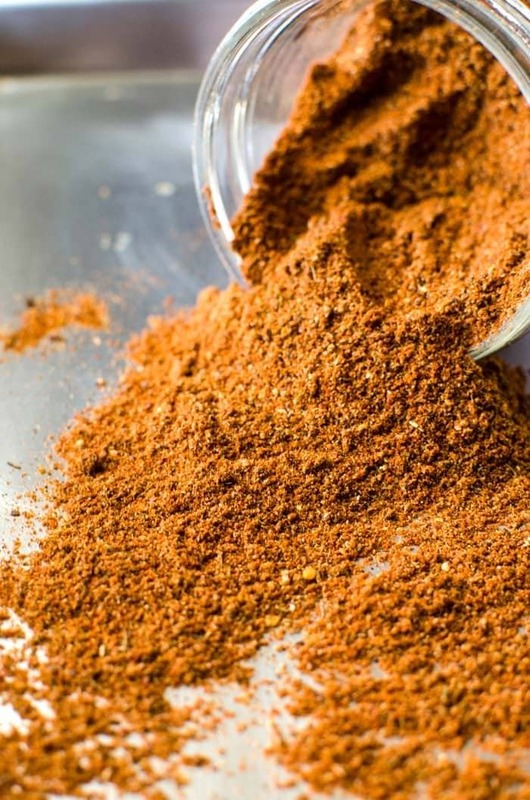 Cajun seasoning is super easy to make at home, and chances are that once you make your own cajun seasoning, you will never want to go back to store bought. It only takes minutes to make, and you will most likely already have all of these spices in your pantry. This seasoning is a great way to change up your regular recipes. 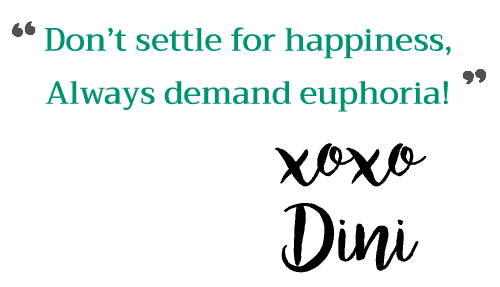 Having grown up eating spicy, flavorful food, I took to Cajun cuisine like a duck to water. But cajun cuisine isn’t just about spicy, peppery heat. It’s quite a bit more subtle than that. 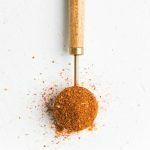 Originating from Louisiana, cajun seasoning is a simple blend of spices that perks up any dish that you use it in with its robust, peppery, zesty flavor profile. While cajun and creole food may seem the same and the words interchangeable to an outsider looking in, they are not quite the same. And unless you call Louisiana home, it might not even be something that bothers you. 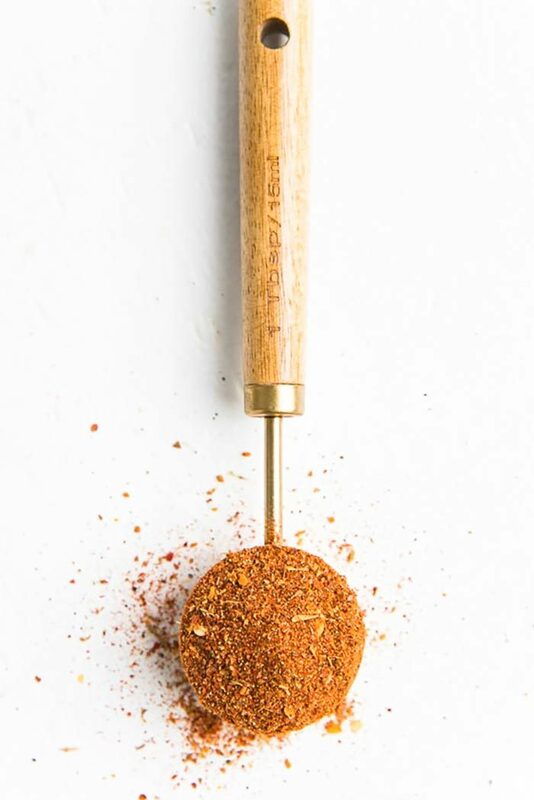 This easy homemade cajun seasoning that I’m sharing with you today is a simple blend of paprika, cayenne pepper, garlic powder, onion powder, black pepper, crushed red pepper, thyme and oregano. The combination of these spices make for a delicious, spicy and earthy spice mix. Plus, these herbs are so easy to find so you can make the spice blend easily at home, and you can customize it to your taste too. You can of course use store-bought cajun seasoning, if you already have it in your pantry. But to me, this homemade cajun seasoning tastes that much better, and of course it doesn’t have any MSG or any of the other synthetic stuff. I’ve added my own little twist to it (cayenne pepper), to give it more punch, but you can substitute the cayenne pepper with more paprika, if you prefer a spice mix with less spice. 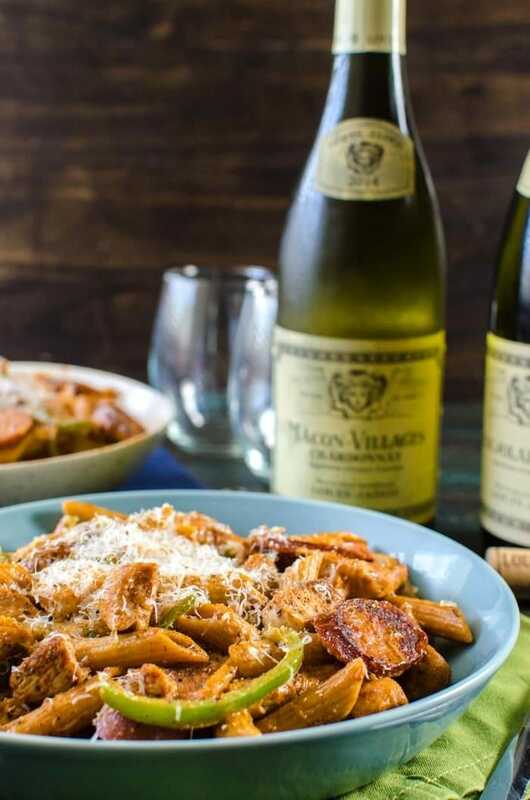 I used this easy Homemade Cajun Seasoning (or cajun spice blend) to make this creamy chicken and sausage cajun pasta featuring, cajun-style blackened chicken and andouille sausage. A flavorful, spicy, peppery dish that’s great for weeknight or weekend dinners. While homemade cajun seasonings may have small variations from family to family, this particular blend of spices is one I love, and always guarantees flavorful, smoky, spicy, zesty dishes! And as you may notice, I don’t add any salt in this recipe, because I don’t like to add salt to my spice blends until I actually use it in a recipe. This ensures that you can season your food to your liking when cooking with this cajun spice blend. But you’re more than welcome to add salt until you get the right combination when making this cajun seasoning at home, if you prefer. I can safely say that this cajun spice mix is by far my favorite blend of cajun spices. I seem to want to put it on everything! This creamy chicken and sausage cajun pasta is just one example, and how about this blackened shrimp and avocado toast? 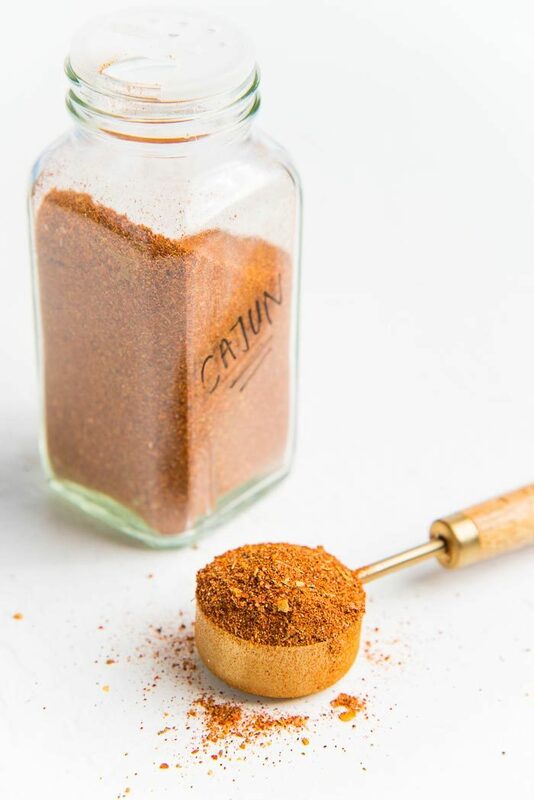 This homemade cajun seasoning is a simple blend of common spices that adds robust flavor, subtle heat and a little bit of kick, and it'll perk up any dish that you use it in! 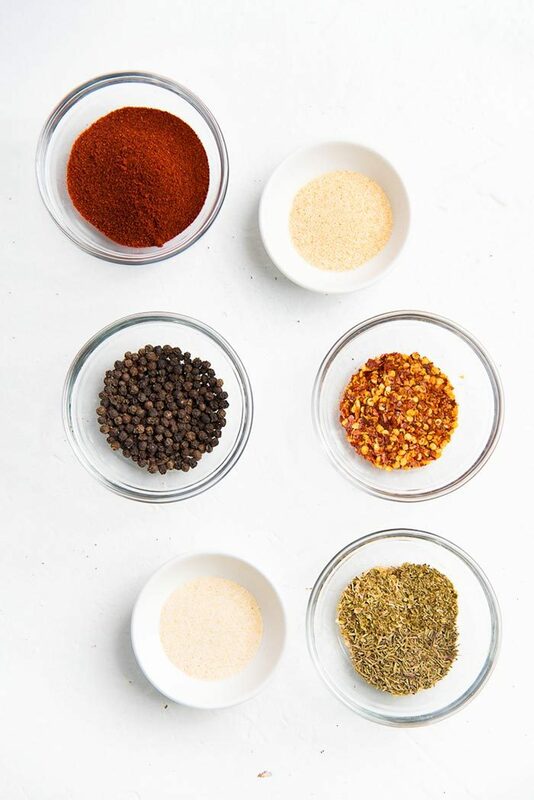 Place all the ingredients in a spice grinder and process until the spices are ground well and blended properly. Transfer the spice mix to an air-tight glass bottle and store in a cool, dark place. If you liked this Cajun Seasoning recipe, don’t forget to subscribe for new (and free) recipes by entering your email address in the subscription box below (and get all these recipes delivered straight to your inbox), so you don’t miss out on a thing. You can find me on FACEBOOK, TWITTER,INSTAGRAM, PINTEREST, YOU TUBE and GOOGLE-PLUS too. I love making my own spice blends at home because it saves me money. This Cajun spice blend was spot on! 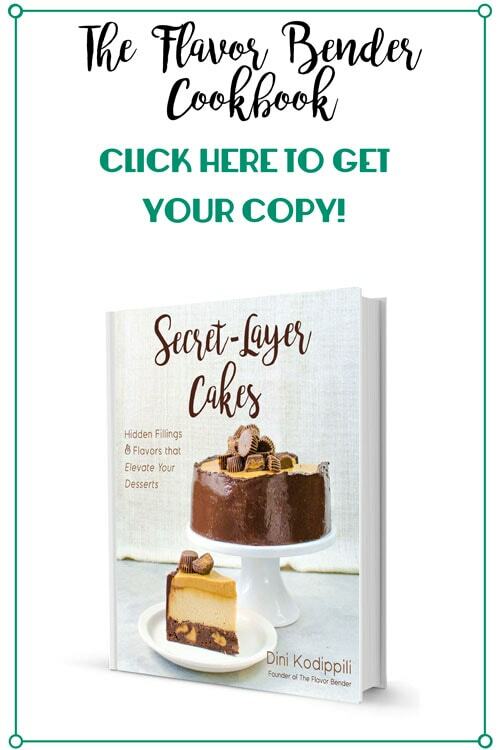 I will make this recipe again and again! I use this spice mix to make blackened chicken often, so it will definitely work for blackened catfish tacos! Hope that helps. This is excellent on popcorn! looks amazing ! i’ve tryed that with red pepper. Thank you so much for sharing this! I can’t wait to try as we love cajun seasoning. Bookmarked!